The Nigerian Army has noted with great concern the deliberate and concerted efforts to mislead the public by some people through misinformation. Thus creating erraneous impression of the Nigerian Army through inaccurate and false publication of casualty figures on the unfortunate attacks on some of its locations in the North East. The latest of this worrisome development was the attack on our troops location at Metele, Borno State, in which some persons and media outlets continued to circulate various wrong acounts and inaccurate casuality figures of own troops without efforts to verify from the military. This is coming at the heels of our release of 28th November 2018 in which we gave accurate details of the attacks and casualty figures in a bid to set the records straight and inform the public true account of things. We also promised to continuously carry the public along through accurate and timely information dissemination on operations and other activities of the Nigerian Army in the release. However it was observed that the trend continued unabated. Most of these inaccurate, false reports and fake news were aimed at denigrating the leadership of the Nigerian Army. Regrettably, the rate at which some mischievous persons ignorantly attack the Armed Forces of Nigeria, especially the Nigerian Army is very alarming and unfortunate. This is deliberate attempt to demoralise the Nigerian Army which would have devastating consequences on troops’ will to discharge their constitutional duties especially in the fight against terrorism and insurgency, thus affecting national security. We would like to warn all those mischief makers to keep the Nigerian Army out of their politics and mischief. Journalists and media platforms should be professional and accurate in their reportage. 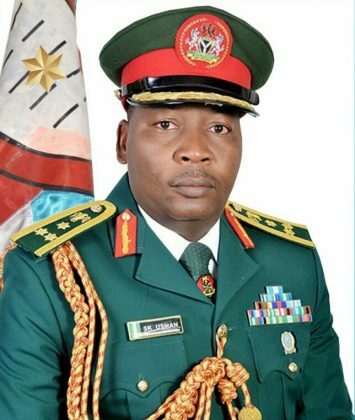 The achievements of the Nigerian Army within the last three years are glaringly obvious, therefore, whatever recent temporary setbacks we experienced in the course of the fight against terrorism and insurgency should not be the yardstick for condemning these laudable three and half years’ accomplishments. We have however identified the few unpatriotic harbingers of the fake news on the attack at Metele and would take appropriate legal actions against them. This is to ensure that the Nigerian Army is insulated from propaganda and ulterior motives of destabilising the country. The Nigerian Army is quite aware that the perpetrators through these acts are covertly supporting terrorists and their activities in Nigeria with a long term objective. We are also aware that they want to use insecurity to scuttle and subvert the democratic process in the country. Consequently, we would like to state unequivocally that no amount of mischief or pressure would circumvent the journey to a peaceful, free and fair general elections in Nigeria. We therefore need the continued support, encouragement and understanding of well meaning Nigerians as we deal decisively with the remnants of the Boko Haram terrorists hibernating at the fringes of our borders with contiguous countries of Cameroon, Chad and Niger Republic. We are committed to the defence of the territorial integrity of Nigeria. We hasten to state that we will continue to be professional in our assigned roles and remain apolitical at all times. Once more we warn mischief makers and proponents of misinformation and fake news to desist from the such practice and join other well meaning, law abiding Nigerians to support our Army to countering terrorism and insurgency in the country.